She could not be deterred—not by slavery, not by illiteracy and certainly not by naysayers. Sojourner Truth was a woman of strong conviction who used the power of her words to stand up for women’s rights and combat slavery. 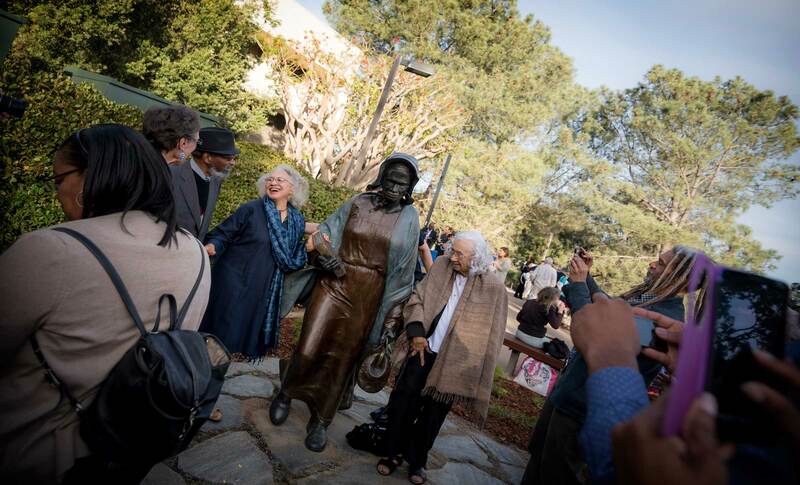 In recognition of her contributions as a suffragist and abolitionist, a new life-size bronze sculpture of Truth was unveiled Jan. 22 at UC San Diego. Created by local artist and UC San Diego alumna Manuelita Brown, the artwork is prominently located in the heart of Marshall College on Ridge Walk. 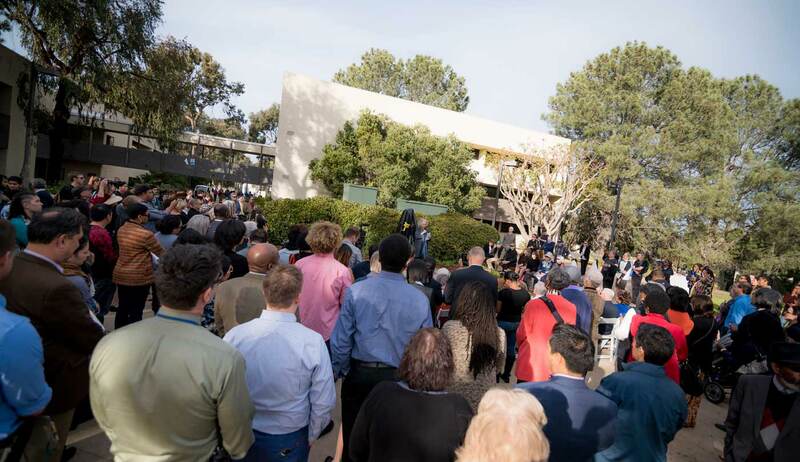 More than 200 people attended the reception, which began with the performance of a civil rights anthem by the UC San Diego Gospel Choir. Jorge Mariscal, professor of literature and co-director of the Dimensions of Culture program at Marshall College, shared that it was his students who originally advocated for the statue of Truth. 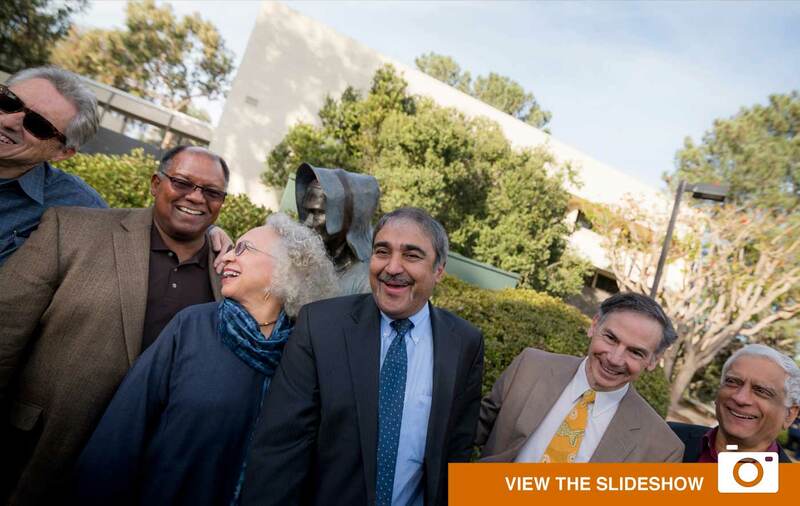 Through a happenstance conversation with Willie Brown, professor emeritus of biology at UC San Diego and husband to Manuelita Brown, he learned that there was already a sculpture made that needed a home—it was destiny. Dubbed “Sojourner Square” by the artist, the six foot tall sculpture is accompanied by a plaque inscribed with a quote from Truth that says “I feel safe in the midst of my enemies, for the truth is powerful and will prevail.” Born into slavery before escaping with her infant daughter in 1826, Truth was born Isabella Baumfree and spent much of her life speaking on behalf of equality. The sculpture captures Truth in motion with a small carpet bag in one hand and a Bible in the other—she had children read it to her so that she could memorize passages to strengthen her argument for equal rights. In addition to Sojourner Truth, Manuelita also created the Thurgood Marshall bust at Marshall College, as well as the Triton located at Price Center. A UC San Diego alumna—she obtained a master’s degree in psychology in 1976—she taught on campus and was former director of an academic support program, Honor Achievement Workshop. She continues to be active on campus as chair of the Black Alumni Scholarship Fund Board as well as a member of the Black Alumni Council and UC San Diego Alumni Board of Directors. 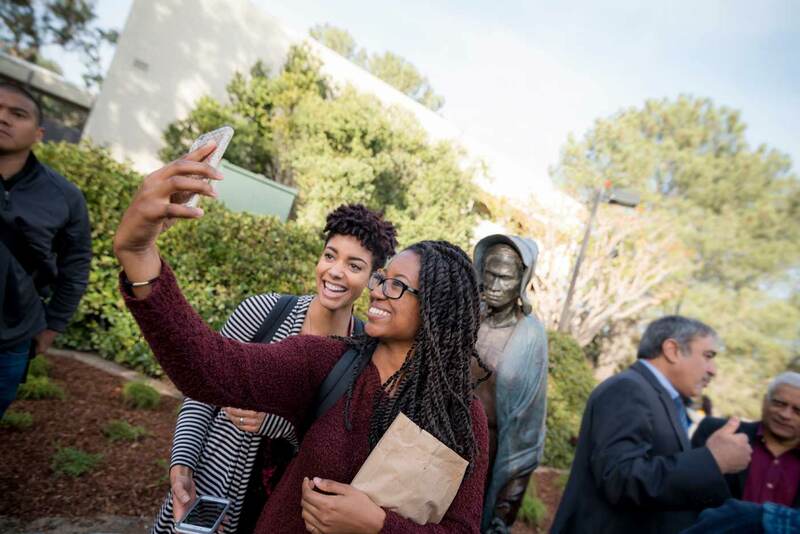 The new Sojourner Truth statue joins a collection of several public artworks on campus dedicated to the celebration of diversity and activism, including the Martin Luther King & 37th Street mural at Marshall College and the Chicano Legacy 40 A ños mosaic on Peterson Hall. In addition to support from Marshall College, the project was made possible by the Vice Chancellor of Resource Management and Planning, the Vice Chancellor of Equity, Diversity and Inclusion, UCSD Alumni, the Black Resource Center and many donors from the community.